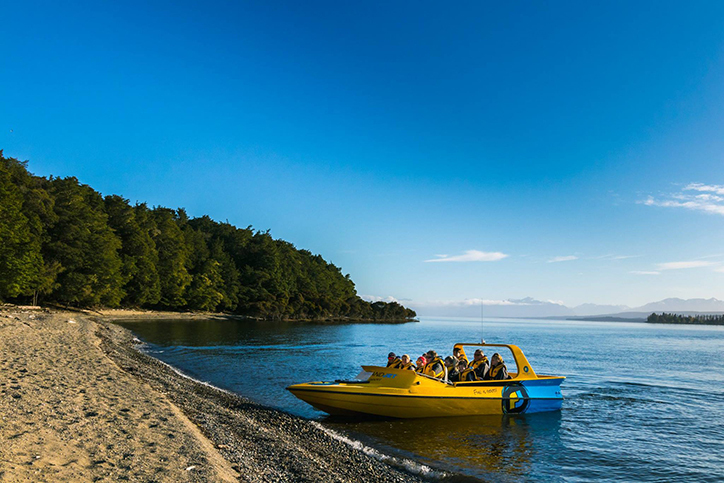 Arriving at Dock Bay, your guide will fill you in on some fascinating New Zealand history, Te Anau. 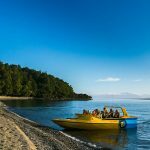 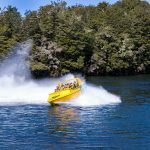 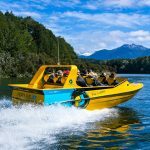 A fast and thrilling jet boat ride across Lake Te Anau towards Dock Bay for an up-close peek into Fiordland National Park. 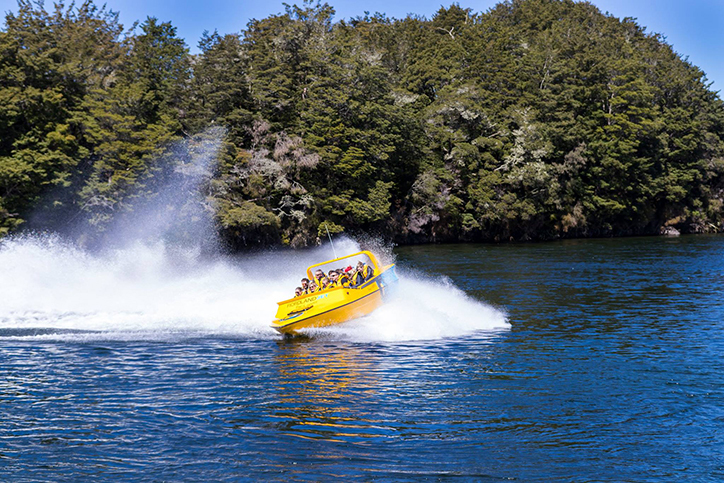 From the moment the accelerator hits the floor, your adrenaline hits the roof for a ride full of spins, spray and laughs! 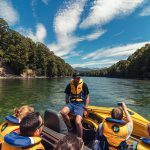 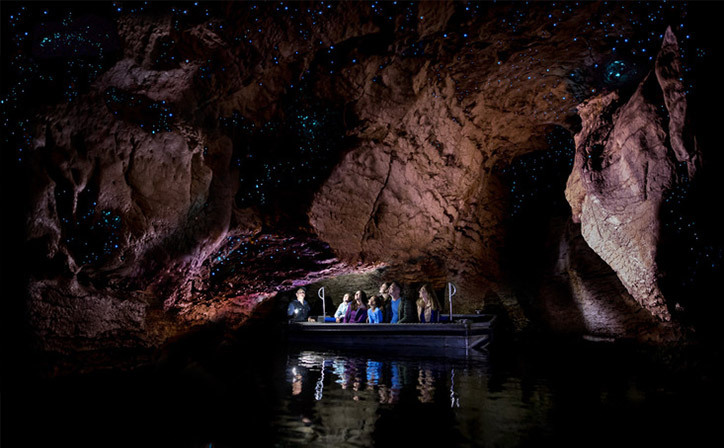 Your guide will fill you in on some fascinating New Zealand history. 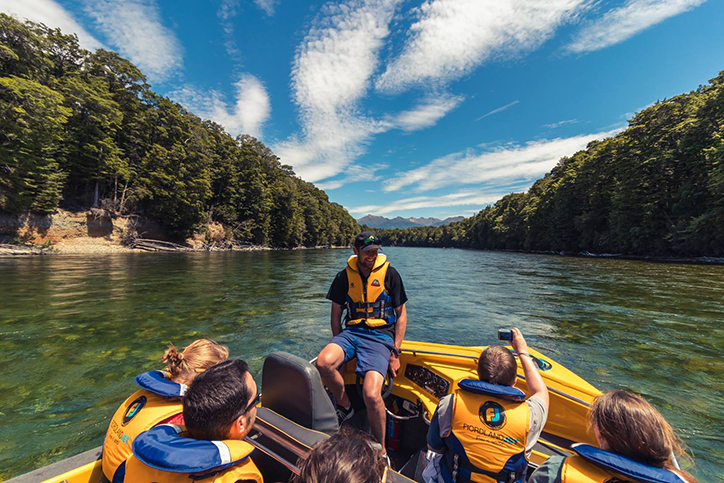 Get a taste of the past, as you learn about early European pioneers, as well as an introduction to one New Zealand’s pristine native forests, and world-famous walking tracks. 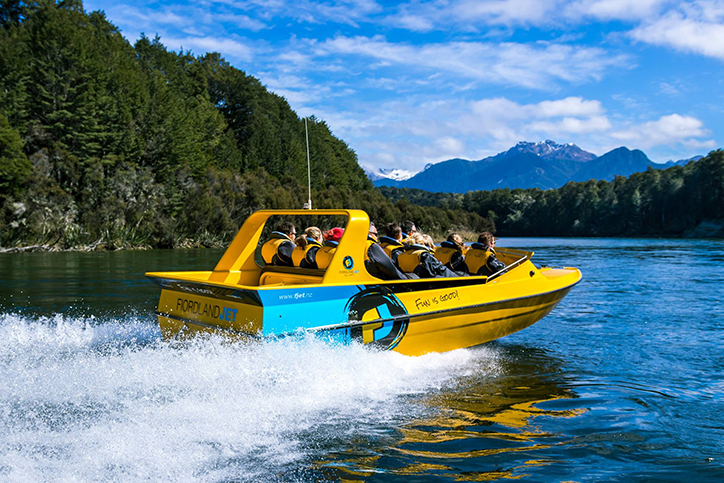 Child ages are 5 – 15 years inclusive. 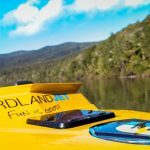 Bring a hat, sunscreen, sunglasses, walking shoes & camera. 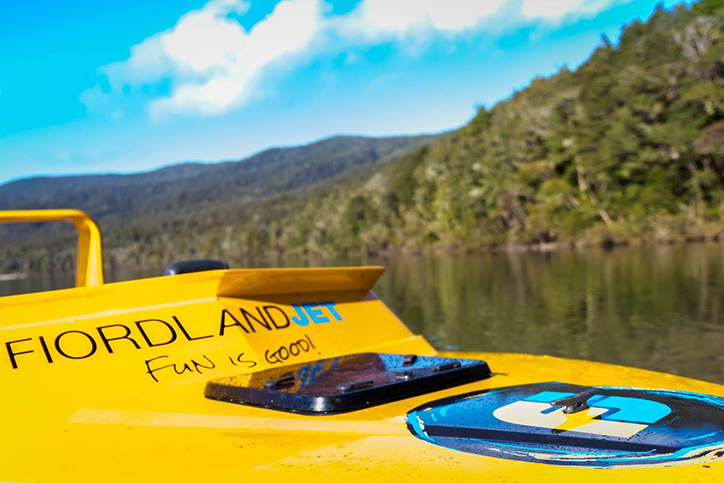 In Winter months we advise dressing warmly.